The first calculators from Marchant Calculating Machine Company, of Oakland, Clifornia, U.S.A., in 1911 were pin-wheel rotary types. Marchant put in a lot of development works into the later models of the keyboard type, which culminated in very fast electrically driven versions capable of automatically deriving square roots. In 1958 Marchant merged with the Smith Corona Typewriter Company to form Smith Corona Marchant (SCM), and In 1963 the calculator manufacture transfered to Orangeburg South Carolina. 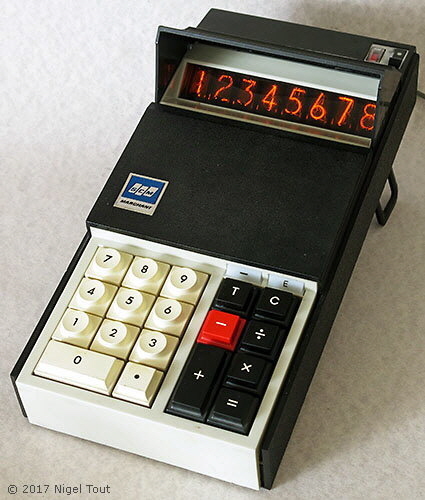 In the early 1970s SCM started marketing electronic calculators made by other companies, but soon started their own manufacture, especially the "Cogito" models. In about 1973, SCM was another casualty of the dramatic drop in prices of calculators and exited the calculator market. See the article "Notes on Monroe and Marchant Calculators" in the Collecting Calculators section of this site. 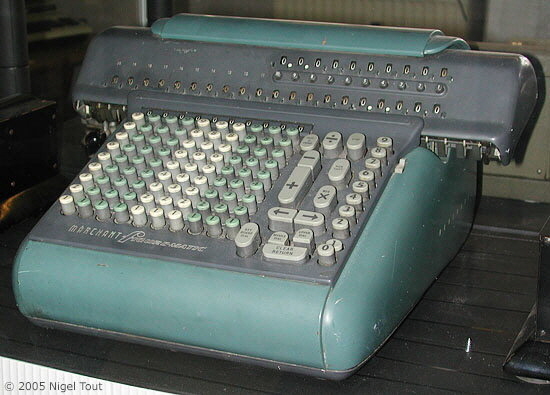 An early keyboard model Marchant hand-operated calculator. An electrically driven, high specification, mechanical calculator from the 1960s. A very stylish, simple, 10-key add-lister from SCM, dating from the 1960s to early 1970s. 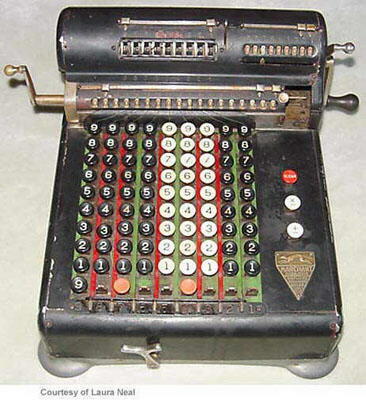 The first Marchant hand-held electronic calculator. For further photographs of Marchant hand-held calculators see the Calculator Photo Library on this site. Below are lists of serial numbers of Marchant calculators manufactured between 1934 and 1957 (kindly supplied by Ron Ames, who worked for Monroe and SCM from 1966 to 1977). The "M" in the serial number means thousands, so for example 104M refers to serial numbers 104,000 to 104,999 (though not all of the series may have been used). Models other than plain D's or M's indicated by prefixes.